Home » 5 Study Tips for ESL Students. 5 Study Tips for ESL Students. For English language study abroad students, understanding what is being said to them in a new country is the first and biggest challenge. 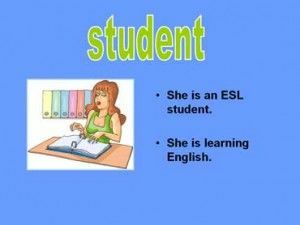 Our study tips will help the ESL student make the best of his or her learning experience. Try these 5 simple study tips ! Be an active listener. Listen to what the teacher is saying with intent and concentration. Do not chat to your fellow students. Put the cell phone away because it will distract you. If you do not know what is being talked about, do not be afraid to ask your teacher for clarification. Your question on a meaning or topic might start a valuable discussion from which everyone benefits. And the teacher is made aware of the specific nature of the students’ challenges. Read any textbooks relating to the class beforehand, and then have the book open on that page during class. Become familiar with the lesson. Make notes – even drawings if it helps your recall of what the teacher says. Especially when learning foreign languages, visual cues can be very helpful. Read the class notes after the lecture. There are a couple of study tips that are completely essential although they refer to time OUTSIDE the classroom! Take small breaks throughout the day. Watch your nutrition – junk food sure ain’t brain food. And get a proper night’s sleep. Insufficient sleep can put paid to any active study tips you might have had.